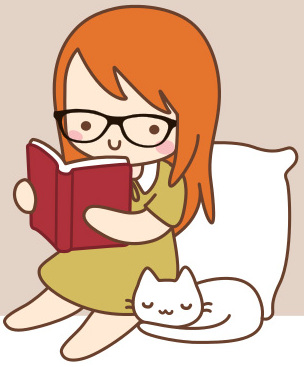 GENRES: Comedy, Music, School, Slice of Life. SEASONS: 2, 13+26 episodes + 1 movie. I've spent the last week watching “K-On!” and it was really easy to get into it and I didn't want to stop watching it once I had started so I ended up watching multiple episodes every day, which is really easy to do because most anime episodes are only about 25 minutes long. STORY: 5/5. “K-On!” is about the four girls Yui, Ritsu, Mio and Tsumugi (the girls always call her Mugi though), and their lives and friendship that evolves thanks to their school's light music club. This might be considered a spoiler but in Season 2 another girl named Azusa Nakano joins the club. 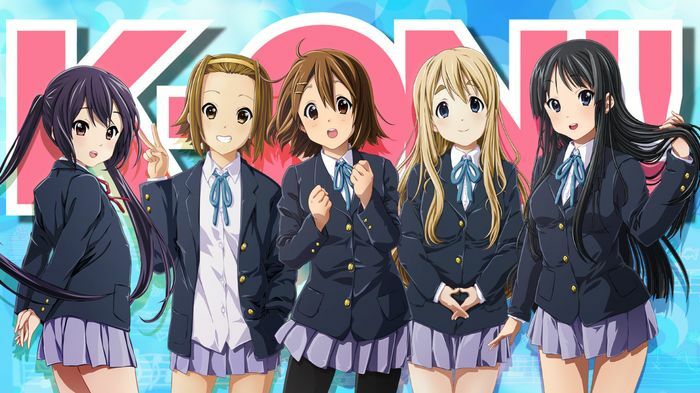 “K-On!” is a cute, funny and good series about friendship, music and school. CHARACTERS: 5/5. The main characters are Yui Hirasawa, Ritsu Tainaka, Mio Akiyama, Tsumugi (Mugi) Kotobuki and Azusa Nakano and I liked them all. Yui and Ritsu are hyper almost all the time, a bit childish and they would rather play around than doing anything serious but they are able to be serious when they absolutely have to. Both Mio and Azusa are more serious and want them all to do what they're supposed to do in the club, which is practising. Mio is also shy and very easily scared. Azusa is the most serious one of the group which is kind of funny since she's also the youngest girl in the group. Mugi is always very kind to everyone and she seem to just be happy to be friends with the other girls and you get the impression that she haven't really had that many friends before. She also likes to try new things or do things she haven't done before, some things most people would consider to be normal she haven't tried or done before because she's from a rich family. I could mostly relate to Mio and Azusa, but I'm not shy and so easily scared that Mio is. ART: 5/5. I think the art in the series was awesome! All the characters really looked amazing and professionally made and I wish every anime series would have the same quality as “K-On!” has. The surroundings in the series also looked good but I really liked how the characters looked. MUSIC: 5/5. The series had some different theme songs through it's 2 seasons, and since the series is about a school's light music club, they played even more songs in the actual series. I think all the songs were pretty good and they were songs that made me happy to listen to. MY GRADE FOR “K-ON!”: 5/5.